So how do we go about protecting these creatures? Eliminating fishing all together is neither a feasible nor a strategic solution. Ultimately, conservationists must work closely with fishery management organizations to determine solutions that can benefit both groups. One way this can be achieved is through Ecotourism. Ecotourism raises awareness about endangered species and fragile environments, while simultaneously supporting the economy. One world-renowned site of ecotourism lies off of Fiji’s main island, Viti Levu. At Shark Reef Marine Reserve, Beqa Adventure Divers have the exclusive ability to lead tourist dives on the reef. Though a local village owns exclusive fishing rights to the reef, a no-fishing agreement was established with the village of Galoa. In return, Galoa receives a portion of Beqa Adventure Diver’s profits. The Shark Reef Marine Reserve is home to some of the most beautiful sharks, from hefty Bull sharks to little Whitetip Reef Sharks. Here, tourists and scientists can observe these incredible beings in their natural environment. “The Dorsal Effect” is another current ecotourism program, aiming to transform a local Indonesian fishing village’s economy into an ecotourism-based economy. Through this method, conservationists can protect the long-term health of marine ecosystems while still maintaining the livelihood of many fishing-dependent communities. We kill 100 million sharks per year. Sharks kill about 4.2 people per year. Who should be scared of who? Though this is the less upbeat part of shark conservation, it is necessary for a full understanding of sharks today. After this post, you’ll know everything you need to know about why sharks need help! In shark-catching competitions, fishermen compete to catch the biggest sharks. 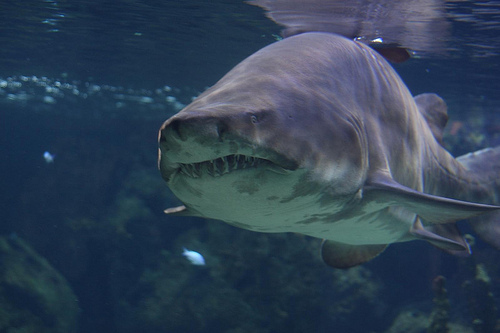 In turn, the older, sexually mature sharks that are to reproduce and repopulate are taken out of the ecosystem. Commercial fishing harvests fish stocks in such massive quantities that many populations have become exploited, to the point where they are not able to naturally sustain their population—over seventy percent of the world’s fish species are fully exploited (and sharks are no exception to this threat!). Certain fishing methods are nonselective in what they catch. As a result, sharks often get caught accidentally, accounting for about forty percent of all shark catches. Longlines are fishing lines, usually 1-100 miles long, that can have over 2,500 baited hooks. Because the lines hanging off the main line are too short for sharks to swim in a forward motion, when caught on these hooks sharks are not able to breathe properly. Even if the fishermen weren’t targeting sharks, the sharks do not live long enough to be released. Bottom trawling consists of huge weighted nets that are indiscriminant in what they pick up. These nets contain about 90% bycatch and can take out whole ecosystems as they scrape the ocean floor. In other words, for every one pound of shrimp caught, nine pounds of other marine life is caught as bycatch and thrown away. Gill nets are large, clear nets that are stretched like a tennis net across the ocean floor. When sharks get stuck in these nets, they can’t swim to breathe properly. In “ghost fishing,” lost or abandoned gear (usually lost during storms) roams the ocean and continues to catch fish. Shark fins are removed and retained to be sold. Shark fins are an expensive (and highly profitable) seafood item; with the fins used mainly for shark fin soup. 9) Pollution and Habitat Destruction, along with shark teeth or baby sharks used for Tools and Memorabilia, also accounts for many shark deaths. But there is hope! Stay tuned for what’s being done and what you can do! Sharks are truly amazing creatures that I have come to love. 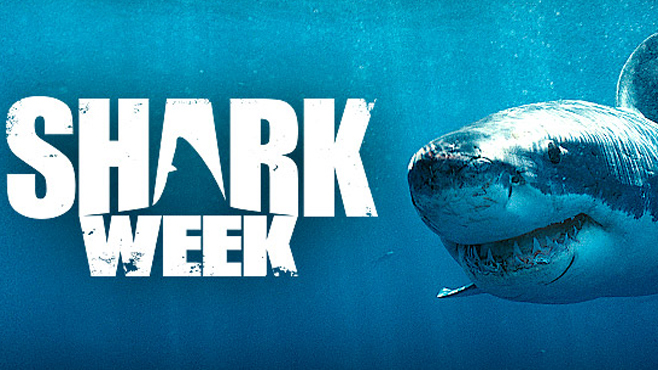 With all the pressing issues of today’s world you may ask, why sharks? And why now? As Sylvia Earle famously said, “No water, no life. No blue, no green.” As humans, we are naturally dependant on the health of ocean ecosystems for our own survival. Over the past fifty years, our reliance on ocean resources–mainly fish stocks–has skyrocketed. In fact, approximately one in six jobs in the United States are marine related (more than you would think, right?). As apex predators, sharks hold together the fabric of the tropic levels below them. In other words, removing sharks from ocean ecosystems sets off a chain effect all the way down the food chain causing the ecosystem to collapse. Today, more than ever, shark populations are threatened by (most importantly) shark finning, overfishing, unsustainable fishing methods, and other causes. * Healthy shark population levels are necessary to maintaining balance for a healthy ocean ecosystem. 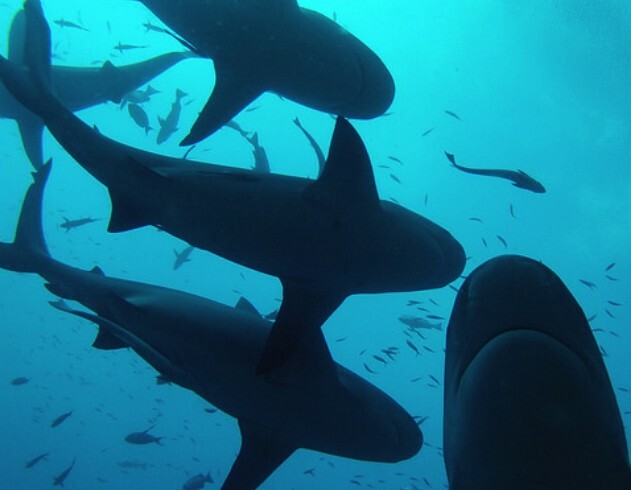 In order to have sustainability in marine ecosystems, sharks are an integral component. Contrary to what many may believe, my intense fascination with sharks is not all madness. Sharks, the apex predators of our oceans, are declining in population size at an alarming rate. 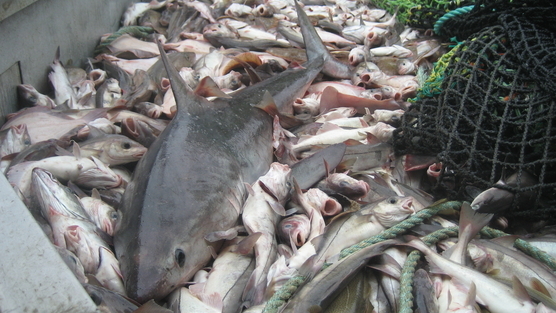 Through overfishing, bycatch and even pollution sharks are facing threats more than ever before. However, many of these threats go ignored as sharks are regarded as man-eating beasts (After all, how can one not think this after seeing Jaws?). I am among many organizations are standing up for sharks, stressing their importance to both life on land and life in the sea. In this effort, I am writing a children’s book to address the growing need for shark protection and ocean conservation. In April 2015, I plan to release my children’s book to the public and begin educational book readings and lessons at local elementary schools. At such a curious age, children are exceedingly open to learning about their world and the creatures within it. They find many aspects of their world novel and exciting, let alone the mysterious shark! Through this book, I hope to inspire young children to develop a familiarity with sharks so they can become future advocates for the protection of our ocean.